After making the decision to visit Seoul in South Korea, you’d think this is the hardest decision out the way but it couldn’t be further from the truth. With various districts all offering their own unique style, Seoul is a diverse area which makes it a bit hard to know exactly where to go or to stay. I was definitely a bit overhwelmed at first when I started reading about Seoul and all the nice locations it could offer. The thing is we never know where to stay or book a hotel when we plan our trip because we don’t want to waste our time in the transportation from the hotel or rental to the attractions. So here I come to help you pick the perfect spot for your stay. Of course, Myeongdong is a favorite for many because of the many opportunities to eat and shop. However, as you’ll see today, there are many other districts you might want to explore, some of which are by far my favorites in Asia. 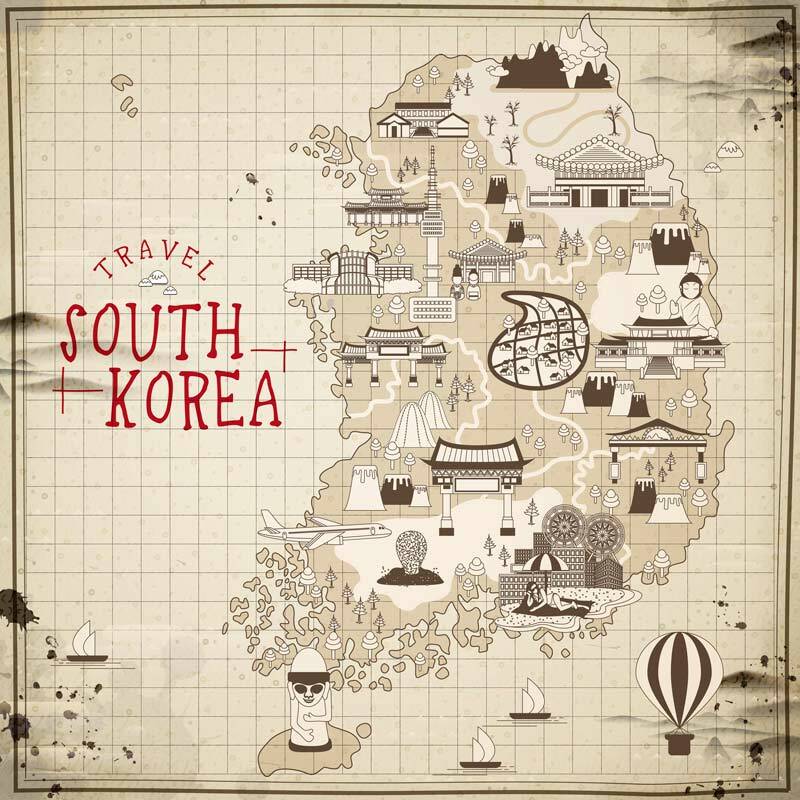 Because I want to provide you with the ultimate travelling guide for Seoul; at first, it might seem as though I am trying to confuse you because there are so many beautiful locations. The idea behind is to highlight the positives of each location, so you should be in a better position to plan your ideal trip and choose effectively where to stay in Seoul ! Airbnb – Before we head into it, we should note Airbnb is just as popular in Korea as every other country these days so it’s definitely worth checking if you want to save a little money. As long as you know the precautions to take, Airbnb can be a fantastic tool for finding somewhere to stay at a better rate which, in turn, means you can see spend more in this beautiful city. As one of the major railways in the capital, Seoul Station can be found just two stops away from Myeongdong but it’s perfect for those looking for a quieter trip. At night, you’ll be far enough away from the action to have peace but within distance to enjoy the nightlife if this is what you’re after. As the name suggests, Seoul Station is also a hub for public transport with routes going in all different directions for the bus and subway. Therefore, it’s convenient if you want to move around with ease and see different parts of the city. Perhaps even more helpful, express trains run to and from Incheon International Airport as well as Gimpo Airport throughout the day so you shouldn’t have to worry about reaching your destination after a long flight. In 2015, Seoul Station also welcomed a brand new bus transfer center which makes commuting even easier. In terms of amenities, you’ll find a Lotte Mart convenience store not too far away, so simple trips to the store won’t be a problem. Unfortunately, we’ve all been there in the past where you book a place that looks lovely but is in the middle of nowhere. Luckily, you won’t have such a problem and the many restaurants give you a chance to sample some of the local cuisine. Often compared to Milan in Italy and the Champs-Elysées in Paris, the Apgujeong/Cheongdam in Seoul can be found close to Gangnam and is very much a luxurious part of the city. As we saw with Gangnam previously, it won’t take long before you come across the global business centers, expensive apartments, and high-end villas. For the locals, they separate the city depending on where the money originated; whilst Seongbuk-dong is for people with ‘family money’, people in Apgujeong/Cheongdam are those with ‘new money’. If you’re an avid shopper, Apgujeong and Cheongdam are two fantastic districts with a keen eye for the latest fashion. Typically, these two districts are the hub of all fashion in Korea in that they start many trends that later go on to spread around the country. Although two different districts, Apgujeong and Cheongdam are very similar and are connected by Apgujeong-ru where the ‘ru’ means ‘boulevard’. Therefore, you’ll find all sorts of department stores, famous brands (Gucci, Prada, Chanel… you get the picture ) , designer shops, galleries, boutiques, and more. As I said, this is very much the Milan of Korea and is often called the ‘Special Fashion District’. Every year, there are also various festivals that attract the big fashion brands so keep an eye out for these. Elsewhere, the area is also known for personal days including hair treatments, skin care, nail art, and even all the way up to plastic surgery. Overall, it is seen as the embodiment of wealthy Korea and you can join the many young professionals in chic bars and cafes. As with the rest of Seoul, you’ll have easy access to public transport to visit other districts and the many sites Seoul has to offer. If you research places to stay in Seoul (as you may have done to find this), you’re likely to find Myeongdong at the top of most lists and this is because it offers everything you could possibly want and need. No matter where you walk, you won’t be far from shopping malls and food outlets which are two of the main things people look for when staying away. As a vibrant part of the city, you’ll be a part of the hustle and bustle during both the day and night. Although only one square kilometre, Myeongdong is home to over 3,500 people and it boasts two famous landmarks; the Myeongdong Nanta Theatre and the Myeongdong Cathedral. Over the years, the area has been promoted as the ‘Times Square’ part of Seoul with neon commercial signs and various other similar features. As a result, it’s the hub of all tourism and you’re likely to see many travellers during your stay. On the flip side, I should mention the cost of Myeongdong as it was recently judged to be the ninth most expensive shopping street on the planet. Furthermore, this isn’t the place you want to be if you need quiet at night. As I mentioned, Myeongdong is a lively area and this remains long after the sun has disappeared. So my advice is yes to the shopping and eating but no to the sleeping there. Throughout the Joseon Dynasty, Samcheong-dong and Insadong were both home to elite aristocratic families and, as a result, are rich in history and culture. When visiting, you’ll instantly notice the traditional feel to the area in the housing, art galleries, teahouses, restaurants, cafes, boutiques, and palaces. This is one of my favorite places if you are really looking for the authentic feel of those preserved traditional houses. Above all else, these locations are perfect for a relaxing vacation where a simple walk will take you into the heart of Korean tradition. With different turns, you’ll find places to eat and relax whilst your worries fade away. Within, you’ll also find Jongo Tower, Unhyeon Palace, and Bosingak Bell Pavilion. In Insadong in particular, the famous street was named in the top 10 places to eat in Asia. Although there are a number of hotels and places to stay here, we recommend the CenterMark Hotel which offers all the basics you’ll need whilst being located near Bukchon Hanok Village. Once again, Itaewon is a diverse district and interestingly the place where you’ll come across the most English-speaking locals. Typically, Korea can be difficult for English speakers but Itaewon has been home to American military bases for some time. If you’re looking for somewhere to socialize with the people working and staying in the area, Itaewon is probably your best opportunity to do so. If we dig deeper into the nightlife, the many clubs and pubs make it a good location especially behind Hamilton Hotel. As with Myeongdong, it can be a little noisy towards the evening but it’s perfect if you’re planning to spend some time with a glass of wine in your hand soaking in some good music. In all, around 22,000 people live in Itaewon and it’s common to find other tourists along with military personnel. As a result, many of the shops and restaurants are actually targeted towards tourists offering food from all around the world including Pakistan, Turkey, India, England, France, Mexico, Indonesia, Thailand, and more. Before you open another tab to look it up, yes this is the same Gangnam used in the popular Psy song ‘Gangnam Style’. With numerous high-end hotels and high-quality restaurants, this is very much an upscale district. After a short walk around, it won’t be long before you come across a wide array of eclectic stores, galleries, and cafes. If you choose to visit Gangnam, you’ll join over 500,000 people who currently live in the district; this makes it the fourth most populated district in Seoul. In the past, the district has actually been compared to Beverly Hills in California because of the wealthy neighborhoods within. Although all of Seoul is known for expensive real estate, Gangnam is particularly wealthy thus offering a high standard of living. According to a recent report, house prices are twice as high in Gangnam as the Seoul average. In terms of transport, you won’t find it hard to get around since you’ll have access to four different subway lines as well as two lines above ground. Besides, you can take the cab. the price is really cheap compared to what we pay in Europe or the Usa. Of course, you can also enjoy the sites such as the World Trade Center Seoul and the ASEM Tower. If nothing else, you can see the hometown of Psy and where the music video was recorded! If you’re a shopper, this is the area for you because Dongdaemun in particular allow their stores and malls to stay open well past midnight. After speaking to some recent visitors, they went for a late night shopping trip and only made it back to the hotel at one o’clock. In Dongdaemun, you’ll come across two different zones for shopping; retail and wholesale. For the most part, zone one is where you’ll want to be because it’s laid out for all retail shoppers and tourists. 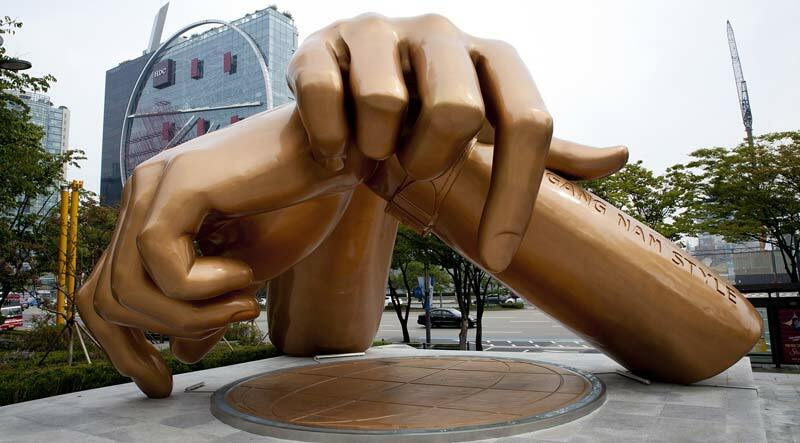 After this, you can visit the Dongdaemun Design Plaza as well as a famous cafe, ‘Okrumong’, nearby. In terms of Namdaemun, tourists mainly enjoy the huge market that takes place holding thousands of different stalls boasting clothing, fishing equipment, and everything in between. If you’re happy to pick up a couple of bargains to remember your time in the area, the market will be superb. If you’re serious about shopping, you might prefer to visit Dongdaemun but the market is still interesting. For all you history fans, Namdaemun is a great place to stay because you can visit one of the eight gates that surrounded Seoul during the Joseon Dynasty. Running all the way from Seoul Station to Jung-gu, the Fortress Wall dates back to the 14th century and was designed in a pagoda style with a gateway. Of all the National Treasures of South Korea, this gateway sits atop the list and originally acted as one of three gateways into the Seoul area. If you like to take long walks when you’re away and just soak in the area, Yeouido is a beautiful location because you’ll be surrounded by cherry blossoms (if you choose to visit Yeouido Hangang Park in the spring). However, we should add a warning that this is more of a commercial area with plenty of office buildings and even government offices. Therefore, it hasn’t been built-up for tourists like other locations on this list. In order to do the sightseeing bits, you will have to get onto the public transport systems. At just over eight square kilometres, this district is home to over 30,000 people and it’s actually considered an island. As the financial district of the city, you’ll also come across plenty of skyscrapers which makes it perfect when looking for that next Facebook profile picture. In April, you can enjoy the beautiful Cherry Blossom Festival whilst October offers the impressive Seoul International Fireworks Festival in Hangang Park. Located just to the north east of Yeouido, we have both Hondae and Sinchon which make up the University Quarter. Home to Hongik University in Hondae and Ewha Womans University in Sinchon, the area is youthful and the businesses are geared towards the younger customer so this is something you’ll notice quickly. However, this doesn’t have to be a negative because there are some fantastic shops and eateries around the two districts. If you are on a budget during your stay, you will fit in with the majority of locals and this is a huge advantage. This is why I like this area so much as prices are pretty low so you are always sure to find a good deal in the shops around. Elsewhere, lots of students means there is a vibrant nightlife and students of the two districts generally crossover when it comes to the weekend so this can be something to enjoy. If you like to get creative or view art in your spare time, these two districts also provide a solid option because there is a ‘free market’ each week where artists come together to show their handmade items. There we have it, some beautiful locations for your stay in Seoul. In truth, they all offer something different and you can normally find your perfect destination once you consider your needs. Do you need cheap shops, parks, a good nightlife, plenty of restaurants, a diverse area, etc? Once you know this, you can choose from the fantastic options above!